Jeeps have become a regular sight on city roads with many owners choosing them for their unrivalled safety and comfort. However, if you really want to get the most out of your Jeep then you need to take it off-road for some outback adventures. To increase the performance of your vehicle on country roads and mountain terrain, you will need to install a lift-kit. 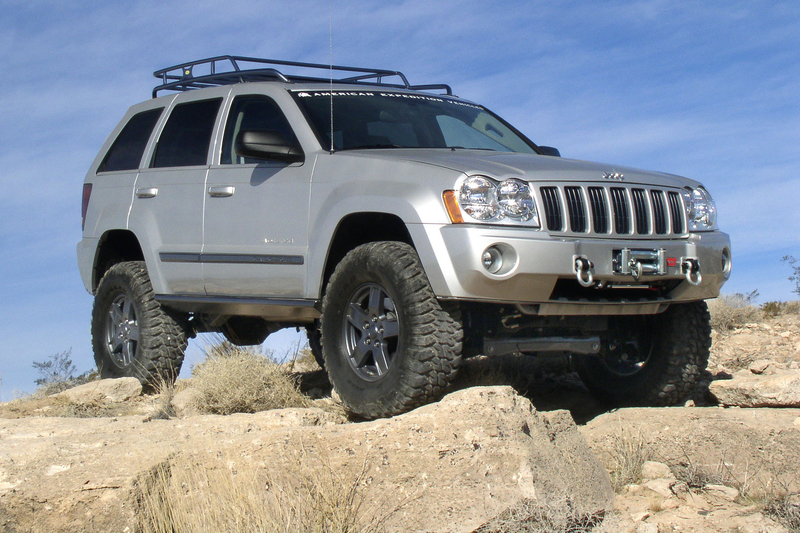 This will raise your Jeep off the ground and improve its suspension and ability to tackle even the steepest inclines. Installing a lift-kit needn’t be an expensive task. As long as you have a basic knowledge of tools and vehicles, then you should be able to complete the job easily in your home garage. There are many different kits to choose from. They range in price from several hundred dollars to almost $2000. You can purchase Jeep accessories from 4Mudders.com and they stock a wide range of lift-kits. If you do not have a lot of experience with vehicle modification, then it is advisable to go for a simple kit that does not have too many different parts. Park your Jeep on a level, flat surface and put it into ‘Park’. Start by slightly loosening the lug nuts on the tire you will begin working on. Lift either the front or the back of your Jeep (depending on which side you are working on) using a jack or car lift. Always ensure the vehicle is stable before starting work, and use jack stands for added safety. Unscrew the lug nuts before removing the wheel to expose the axle underneath the vehicle chassis. You will now have to remove the sway bar and shocks. Remove the sway bar from behind the bumper by unscrewing the sway bar links that are connected to the axle. Remove the shocks that are found next to the coil spring. If you have difficulty loosening the bolts, spray them with oil or lubricant. You will now need to fit a coil compressor onto the coil spring before lifting your Jeep slightly so the weight is no longer on the spring. Remove the spring and then compress it to make room for the coil spacer. Reinstall the spring with the coil spacer on top as well as any bump stops or additional equipment that came with your kit. Replace all the parts on your Jeep before slowly lowering it back onto the ground. Tighten the lug nuts on the wheel you have just worked on and then repeat the entire process on each wheel. When test-driving your new lift-kit, it is essential to start out slowly to give all the parts time to settle and to be sure that you have performed the installation correctly. If you will be taking your vehicle out onto dangerous terrain, then it is advisable to enlist the help of a professional mechanic or at least get your work checked before you head out. Jeremy S loves car customization. As a mechanic, he enjoys blogging about fun ways to make your car, truck, SUV, and more your own unique vehicle.